Shopping frequency grew 2.2 percent, though the average amount people spent dipped 1.3 percent, the Issaquah, Washington-based company said on Wednesday. Wall Street had grown concerned that Costco customers would defect to Amazon.com Inc. and other rivals as the company’s warehouse model lost its novelty. Shares of the company rose as much as 4 percent to $159.96 in New York trading Thursday. Before the rally, the stock had dropped 4.7 percent this year. The traffic gain helped same-store sales climb 2 percent, when excluding gas and foreign-exchange effects. Competitive prices and a good selection of merchandise – providing customers with a “treasure hunt” experience – is helping Costco maintain its edge, said Cowen & Co. analyst Oliver Chen. Still, the company needs to win over younger shoppers and modernize the chain if it wants to compete with the likes of Amazon in the long term, he said. A historic streak of food deflation also has spurred competition in the industry and weighed on sales. Though that’s helping in certain areas, such as baked goods, the situation means less money is coming in the door. 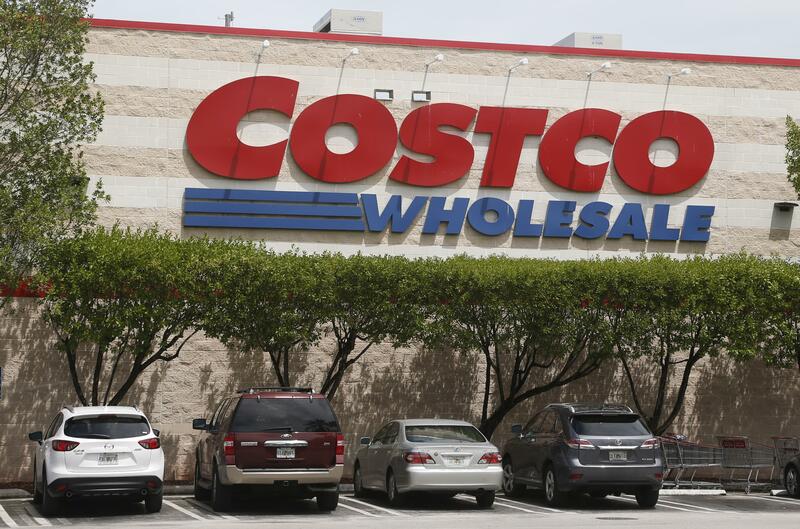 Though Costco’s total revenue grew 3.2 percent to $28.1 billion, that missed the $28.3 billion predicted by analysts. Net income was $1.24 a share in the period, which ended Nov. 20. Excluding a 7-cent-a-share gain from a legal settlement, profit was $1.17 a share. Analysts projected $1.19 for both net income and adjusted profit, the average of estimates compiled by Bloomberg. In the U.S., where Costco has more than 500 stores, same-store sales increased 1 percent. That’s shy of the result at rival Wal-Mart Stores Inc., which said last month that sales gained 1.2 percent by that measure in the most recent quarter. Costco, with a $55 membership fee, tends to cater to slightly higher-income customers. While those shoppers have fared better during the economic recovery, there have been some signs this year they are pulling back over concerns about the election and volatility in the stock market. Sales outside the U.S. and Canada rose 3 percent, excluding the impact of foreign exchange and gas prices. Published: Dec. 8, 2016, 12:18 p.m.